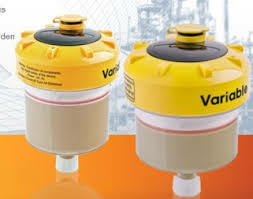 The 1741-V visual automatic oiler is designed for long-term stable lubrication and oil supply. The visual auto-oiler consists of a medium-duty spring (green), a light-duty spring (orange) and a heavy-duty spring (black). When used, the correct spring is selected according to the lubricant. #0-#3 grease can be used. All models of lubricant oilers (both manual and electric) have a standard lubricant coupling for grease to the oil cup and embedded fuses to prevent overfilling or cup pressure Too high. 337421-1 Orange 0.23kg 0.147kg Note: With a hex wrench, do not tighten the oil cup with your hand. Safe use specifications a. Side view if the plunger line to the lid angle is found. Please add oil to the oil cup according to the installation and operation instructions. Do not overfill b. Look down and find the indication point on the plunger to reach the red line of the cup cover. Carefully remove the lid and the lid is spring loaded. Note: Once the oil cup is too full, too much lubricating fluid will flow out of the oiler’s lid and relieve pressure. All normal operations will be carried out. Choose the right spring according to the grease. Press and open the lid, then rotate the lid counterclockwise and release the pressure. Note: The lid of the cup is equipped with a spring. It cannot be removed quickly and needs to be carefully removed. Remove the spring from the cup. Press and install the lid onto the oil cup and turn it clockwise until the pressure is right. Insert the stick into the center hexagon and push the plunger out of the cup. Gently clean the parts with a clean, soft cloth. When reinstalling, apply a layer of film on the oil cup and plunger with grease to lubricate. Press the lid under the hand and rotate it clockwise to the proper pressure.